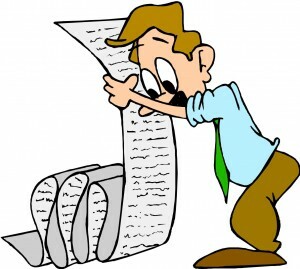 We all make our “to do” lists a bit differently, but the same basic premise exists behind them. Maybe you use a less structured process like the one I detailed in Living in the Details: My Daily Plan. Or, maybe you prefer a method like the The Daily Game Plan: A Must Use Tool! that Chris Patton at Christian Faith at Work uses. Perhaps you prefer using a Master Task List approach like the one Michael Hyatt details in Before You Create a To Do List. Regardless of the method you use, you’ve likely a lot to accomplish just like the rest of us. And maybe sometimes, maybe often, you simply don’t know where to begin. What tasks do you tackle first? Setting priorities can be a struggle. So much, maybe everything, is equally important. So, where do you focus first? When I taught at a community college, organization was crucial for juggling 4 classes and 80 students, and everything was very deadline oriented. As a result, I learned the importance of developing and then consistently applying the following 3 time management principles. Refuse to let being overwhelmed stop you. See my post Too Overwhelmed to Become Less Overwhelmed for more on how to develop a system even in the midst of being overwhelmed. We all have too much to do at some point, so learning to work through that is crucial to overall success and personal satisfaction. Do what’s next. Ask yourself, “When is the next due date?” For example, if I have to teach Sunday School on Sunday and have to write a post for the Thursday before, the post obviously comes first. You’ll still feel like you can’t get everything done at times, but eventually this “Do what’s next” state of mind creates an “I can only do what I can do” attitude that keeps you moving forward. Be ready with time fillers. Only have 5 minutes before the kids get home from school? That’s enough time to sweep the floor, switch laundry or empty the dishwasher. Have a list of items you can do during these in-between times. Instead of doing a mass house cleaning and getting all of these things done before moving on to other work, I integrate them into small times slots within my day. This transfers well into an office with things like making copies, editing a document, reading an article or answering an email as possible time fillers. I personally get more accomplished with this approach. These principles probably seem painfully simple to some people, but they truly create a structure to help keep me focused and from being overwhelmed. Some people schedule and script their day more, but doing so never worked well for me. But, as I mentioned in The Big Picture: My Own Life Plan Method, the best system for managing time and reaching goals is whatever works for you. So be encouraged! Keep trying different methods, keeping what works and ditching what doesn’t. Steal ideas from others, knowing that your approach will be a combination of what others do and what you learn through trial and error. And in those overwhelmed moments when you want to run and hide, say a little prayer, then “just do what’s next.” I literally say this phrase to myself, and this approach has kept me sane in the midst of chaos many times in the past 15 years. DISCUSSION: What advice do you have for managing everything that needs done in a day? This entry was posted in Victory! and tagged be encouraged, don't know where to begin, just do what's next, organization, refuse to be overwhelemd, time fillers, time management, To do list by admin. Bookmark the permalink. Technology is not always the answer, that is for sure. Sometimes, the simplest approach is the most effective and efficient. Funny how we can do so well in one area of our lives and not apply what works to other areas. You are not alone in that for sure. Do what's next… I like that. I do like being ready to do 10 minutes at different task just to move them along. Sometimes it is not because that is all the time I have but because it is all the time I want to commit to doing that task. I usually will work longer than 10 minutes when I do something like that. While I like having time fillers I also like to have periods of time I will not do anything but think. I think it helps to stop at points in the day; slow things down and ask if I am working on the right things; am I forgetting something important; does someone else need some of my time? The 10-minute approach is another idea for getting moving. Leaving time to just "be" and to "think" is also very important. Thank you for bringing that up. Actually, that's a topic that has been coming up quite a bit for me these past several days. I feel like our culture is one of always need to be doing and being entertained that we are losing (or have lost) that ability to just sit and think in a deliberate way. Perhaps we equate it with boredom? Maybe it's just too hard? Not sure, but creating a habit of taking time to think is a great way to be productive in a more deliberate way. I still use my Moleskine calendar and also do my "to do" list in it. I have moments where I really "to do" it but there are also times I fly by the seat of my pants. That sometimes does not work out so well. 🙂 I tend to take a book with me to fill in dead space. My husband and oldest son can fly by the seat of their pants successfully most of the time. Actually, I think it' s more that they are better at keeping a mental "to do" list than the rest of us. Me, I'm with you in that I don't do well without the structure of a "to do" list. God is teaching me to be more flexible within that structure though. Sometimes, I am tempted to go back to a solely written calendar system and to ditch the technology which often frustrates more than it helps. Still not convinced that won't happen! Always having a book with you is a terrific point! I tell my boys to always have something to read, and I try to do the same. Glad you brought that up! As usual, good advice. Realizing that a “to do” list is never-ending and always regenerating, I try not to make mine go too far out. Usually, I look a week ahead at most, though there are exceptions such as an upcoming trip or other big event. Also, the Master List approach sort of help with getting overwhelmed with a never-ending “to do” list also. We need to have a long-term view but also live right now too. And really, the more I release control of my list, any list, to the Holy Spirit, the better. P.S. Funny what you said about your desk. Reminds me of my husband. Love the just do what's next line, Kari. That seems like a good thing to tell yourself. This week I've made a boundary that I can't check my e-mails til after 9 or 10:00, depending on if I have to go out in the morning. I think this will be huge. Even though it doesn't take long to check them, it can get me sidetracked mentally. Excited to see what this will do for my productivity! My new plan is: Quiet time in the morning. Renew my mind if I either feel like checking e-mails or don't feel like working. Work till 10:00. Check emails. Then work again til lunch. 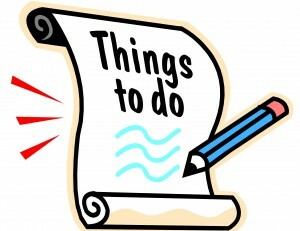 Then on to house stuff, volunteer activities, etc in the afternoon – excited to see if this will keep working for me! Also – I'm going to be off the computer at night unless my family is gone (they're gone tonight) and renew my mind after supper so I don't stress about what I didn't finish. Excited to see what God will do! Love your series. Just getting a plan is a great way to get started. Then, knowing a plan rarely goes exactly as we envision, we tweak as we try it out. Eventually, we get a good rythm going even with making adjustments. Great job for doing this, Barb! I've found that my scheduling method can vary with the type of task I'm going to do. Sometimes, I use just a simple list. Other times a detailed schedule. Other times I'll specify the order of tasks but not really state a time frame. My husband seems to take this approach too. He's able to adapt fairly easily to different situations by adapting his planning methods. Great stuff, Kari. I'm a productivity junkie. I'm testing different approaches on Psychowith6.com every week. I've saved the game plan to test later. I like how you get confirmation as to what you're doing. Thanks, Melanie. It’s good to stay teachable in this area. Plus, as situations change, approaches often need to also. I had trouble opening and responding when on the road this past week. You have hit the nail on the head with this post. It is so true, do what is next and use those in between times to accomplish tasks. My daughter says tackle big jobs for 10 minutes. If you have made a dent in 10 minutes you may be motivated to do another 10. If not leave it and come back later and try again. The 10-minute approach is a good one. They key is to have SOME approach or plan. To not have a plan usually ends up with wasting time.